Decorating tips don’t get much easier than this. Let’s face it, decorating your home can be an overwhelming business as the options are literally endless. But that’s what also makes it so much fun. Whether you’re looking for instant DIY home ideas to do right now or decorating tips to put your stamp on a living room or bedroom, here are some super simple decorating tips to help you create a home you’ll love. 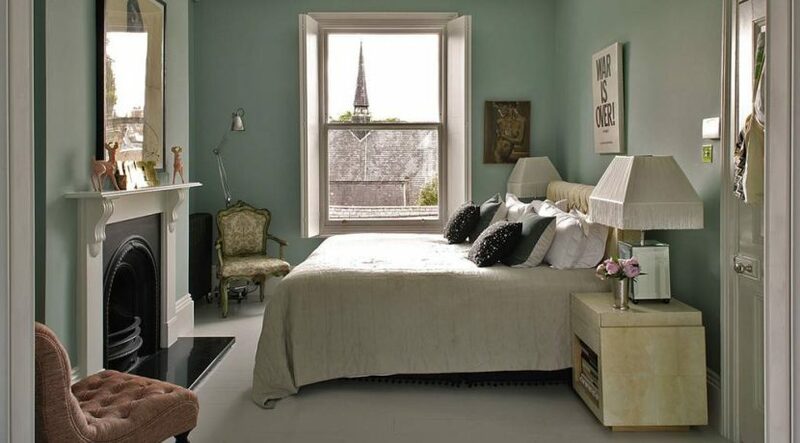 Think outside the box (or four walls) when it comes to painting colours for your bedroom. 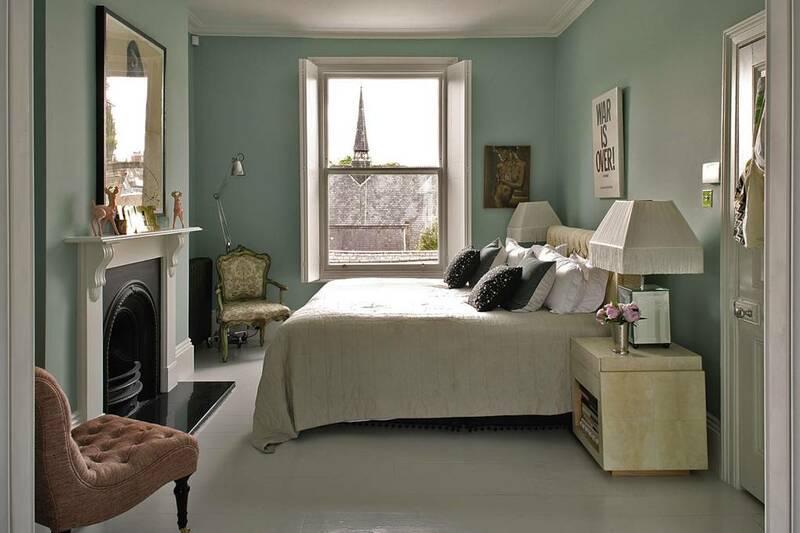 A rich forest green would normally be seen in a living room or dining room, but it adds a grown-up glamour to a bedroom. Repeating colours throughout a room (or even your entire home) creates a stronger design, especially if you have an eclectic mix of furnishings. Not a fan of standard headboards? A painting or photo collage makes a quirky alternative for modern design lovers. If you like to mix bold patterns and prints, break up the colour clash with neutrals and stick to a solid colour rug to help balance out the room. Create a wall of postcards for a very personal and unique feature. We recommend using painter’s tape as an adhesive – it’s sturdy, but won’t damage your paint. Have books worthy of showing off? Get them to double up as artworks with a customised bookcase. Wall cladding is a great way of adding interest to a room. Run the boards horizontally as opposed to vertically, to give a more modern feel. A black-and-white colour scheme isn’t usually associated with kids’ rooms, but a monochrome palette works very well when accessorised with bright hues in green or red. Whether it’s dolls, crafts or trophies, proudly display your child’s most treasured possessions with hooks or shelving around the room’s perimeter. Cushions, lighting and glassware shouldn’t be limited to a life indoors. Make your furnishings do double duty by bringing it outside. A hallway is the perfect spot for a collection of family photos. Here, black and white prints keep the monochrome uniformity and allow the statement chandelier to make an impact. When buying a rug ask the shop if you can try before you buy, many will let you and it’s well worth it to ensure you don’t later regret the purchase. Change the feel of a room with lighting. Uplighting above wall units creates the illusion of higher ceilings, while wall washers can make corridors appear longer and wider. Some silk scarves are too beautiful to lie hidden away in your wardrobe, so frame them to make a simple, stylish wall display. To avoid any damage by glueing or pinning, carefully tack them along the hem onto acid-free backing paper. If your frame is not a box frame, use a mount to keep the design off the glass. UV filtered glass will also keep the sunlight from bleaching the scarf’s colour.